Click below take a look at a summary of BarringtonBulletin.com’s first (partial) year in existence. And thanks to all for making it possible. 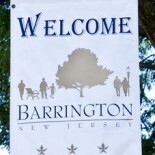 This entry was posted on December 31, 2012 by Barrington Bulletin in Uncategorized.